Guess what?! You voted rolls! What, you didn’t vote? I held an impromptu little poll yesterday asking if you would rather have chicken or rolls today. And you voted rolls! Don’t worry, there’s still enough chicken to go around. We’ll get there! But first, behold my new favorite roll recipe of all time. No real surprise, the recipe came from Great Grandma. She totally redeemed herself after the prune episode yesterday, if I do say so myself. 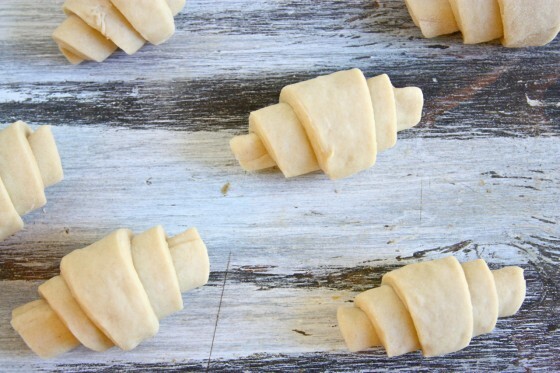 These rolls are like croissants but WAY less time consuming. And dare I say, just as tasty? Okay fine. We all know that nothing beats a warm chocolate croissant eaten on the streets of Paris but I can promise you these crescent rolls are right up there. These crescent rolls contain layer upon layer of flaky, buttery dough with just a hint of sweetness, and are absolutely perfect for any Thanksgiving bread basket. 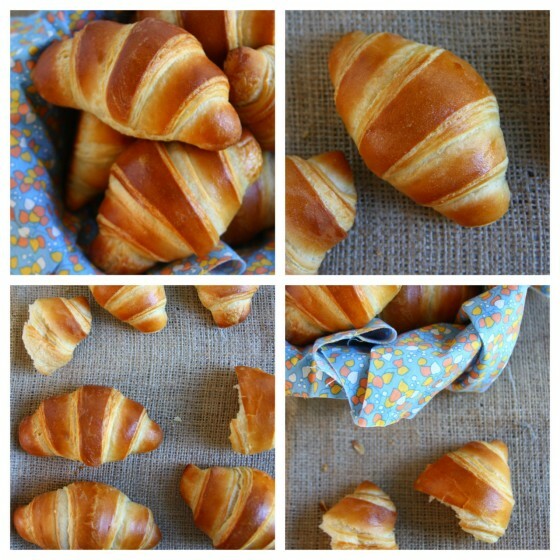 They’re prepared in the same manner as croissants but unlike their flaky French cousins (great tutorial on how to make croissants here! ), this dough doesn’t have to rest in the refrigerator overnight and is a lot more forgiving. If making bread of any kind intimidates you, this is the roll for you! Double promise. Now don’t freak out, but to make these lovelies you need to laminate your dough. That really just means you smother your dough with a half stick of softened butter. The pros might tell you to lay a piece of plastic wrap down on the dough before rolling out to “smooth” the butter all over the dough, but I just used my fingers and smeared the butter all over the place. It felt wonderful. Then, you fold both sides of the dough in towards center so it looks like a book! A buttery book indeed. Then, fold the dough in half, stick in the fridge for 30 minutes and repeat that process again (just the folding and the rolling—not the buttering). Do this three times and you’ll have the flakiest of flaky crescent rolls on your Thanksgiving table. After an hour’s rise and a short bake in the oven, these guys are ready to be slathered with (more) butter and eaten alongside some delicious roast turkey and cranberry sauce. I was so impressed at how easy this old faded recipe was and how well they turned out! So much better than the crescent rolls in the tube at the grocery store. Although, I did used to really love opening that tube and watching the dough “explode” when I was a kid. I got so much satisfaction placing those soft mounds of billowy pre-sliced dough onto a greased baking sheet and watching them puff up all shiny and golden in the oven. ….these are so much better!!!! 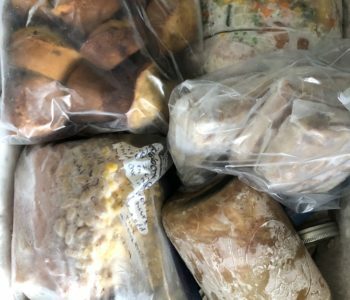 If you want to make them the night before Thanksgiving to save time, you can prepare the dough (laminate three times per recipe instructions) and stick it in the fridge overnight wrapped in plastic wrap. On Thanksgiving morning, all you have do slice the dough into crescents, let rise an hour and bake! Combine the yeast and the warm water/sugar in a glass measuring cup or small bowl. Mix with your finger until combined (no yeast clumps) and let sit for about five minutes until foamy and creamy. Meanwhile, combine the beaten egg, the milk, the shortening, the sugar and the salt in a large bowl. Add the flour and the yeast and mix for about six minutes until dough is smooth and elastic. If using a Kitchen Aid, use your paddle or dough hook attachment and mix on medium high speed until the dough clears the sides of the bowl. It will seem sticky at first, but keep mixing (or kneading by hand) and it will become smooth. Place dough ball in a greased bowl, cover with a dishcloth or plastic wrap and let rest in the fridge for 30 minutes. After 30 minutes, remove dough from fridge and roll out on a lightly floured surface to a large rectangle that’s about 1/4th inch thick. Spread your softened butter all over dough, leaving an inch around the sides of the rectangle, being careful not to break through dough with butter. Fold one half of the rectangle towards the center and fold the other half over as well on top of the first layer so you have three dough layers (see above photo). Fold in half one more time, cover with plastic wrap and place in fridge for 30 minutes. 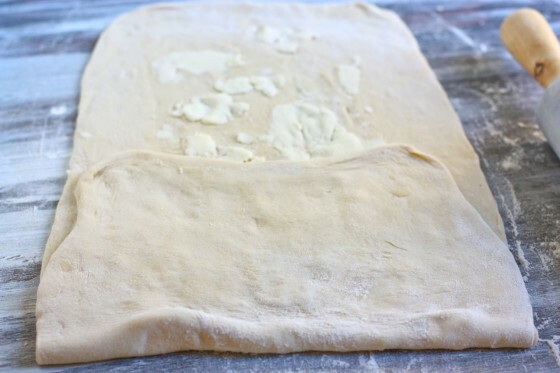 Roll out dough again to a long rectangle (being careful of the butter—roll gently) and fold dough again into thirds like a book. Place back in fridge for 30 more minutes. Repeat this process two more times. At this point, you can either proceed with the directions or you can wrap your dough tightly with plastic wrap and place in the fridge overnight. To proceed, roll dough out to 1/8th inch thick. Slice into triangles like above photo. Roll each triangle up, starting with wide end and tuck the “tail” underneath the roll. Place rolls on a lined baking sheet, cover with a dishcloth or more plastic wrap and let rise 1-1.5 hours until double in size. Combine egg yolk and warm water and brush on each roll. Bake rolls for 12 minutes until golden brown. Jenna your rolls are food art! They are PERFECT. And I also love the dough folded up like a blanket photo…seriously cool! Wow!! These are so beautiful!! I hope to get to try them this holiday season! Thanks!! Mmm these sound lovely! Can’t wait to try. I am making these for sure!!! Thanks for sharing! 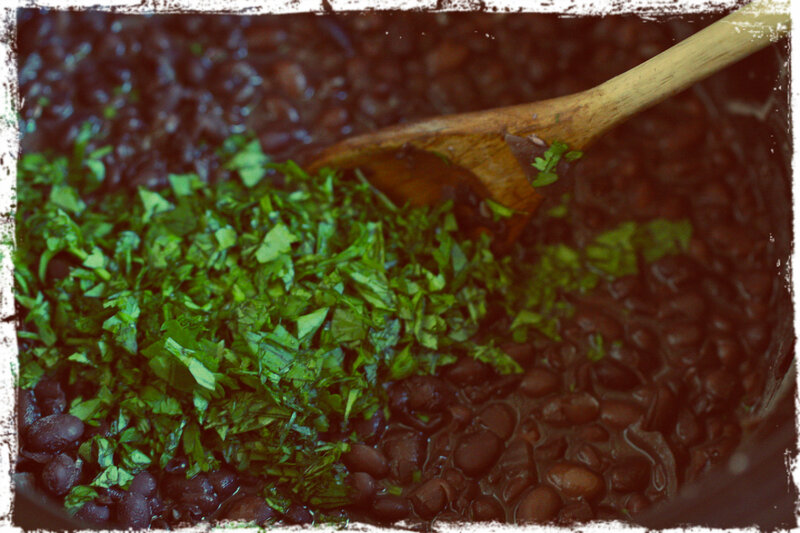 I also love to bake my grand mothers recipes everything turns delicious everytime! 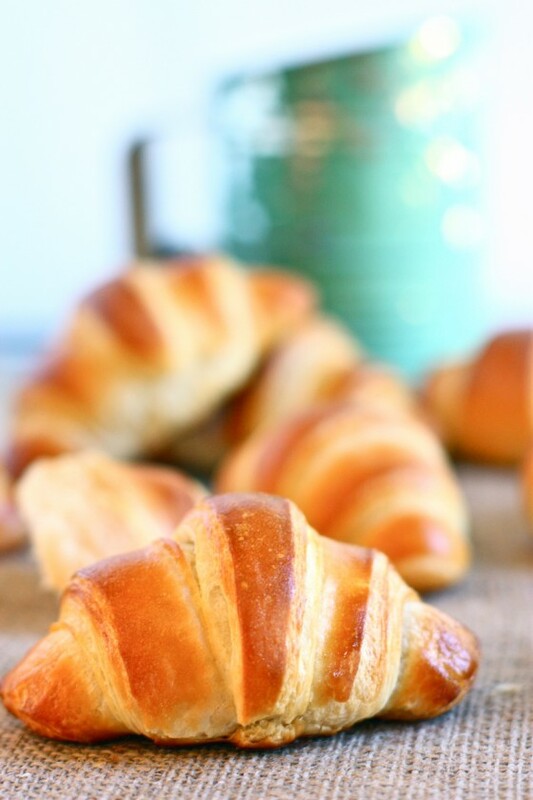 I have been eyeing the posts on croissants that have been popping up, feeling torn between “those look amazing” and “that would be a huge project”. While I know that everyone says that fresh croissants are ultimately worth it, the concept of spending 6+ hours babysitting dough for a product that will last less than 15 minutes in my house is still a little intimidating. 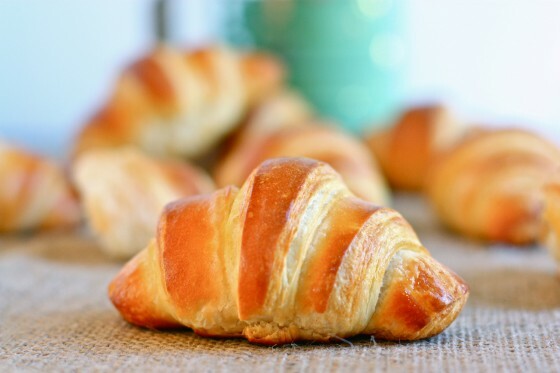 These look like they will stave me off from trying actual croissants while being an amazing addition to any dinner, breakfast, or tea. Looking forward to trying them. Shut. Your. Face. I. Am. Making. These. These are so cute! And those refrigerator biscuits & rolls would give my 8 year-old heart a heart attack upon opening every single time. Wow these are gorgeous. I am 100% impressed. Excuse me for saying this, but those are some damn good looking rolls. these are probably the prettiest crescents i’ve ever seen…beautiful! these are absolutely beautiful, jenna! i am beyond impressed. so not only does butter make everything taste better, it makes it more pretty as well… i love it! For those of us who have no time, Pillsbury is the answer. You really can’t beat a good fluffy crescent roll (especially one that doesn’t come out of a can). Despite the 3 hour time stamp on this recipe I love how manageable it seems! I too used to LOVE popping open a tube of crescent rolls as a kid. So fun! This actually looks kind of fun – to play with dough 🙂 Yeast kind of scares me though. Call me a nervous nelly, but that exploding roll, still to this day, freaks me out. No matter how prepared I am for it, it still shocks me. 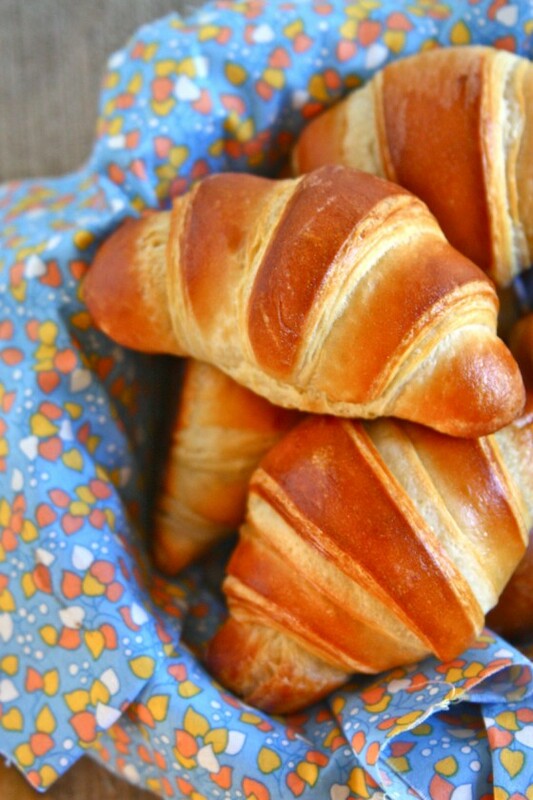 I’ll gladly take your crescent rolls – they look so perfectly crusty on the outside! those are so gorgeous! perfectly golden. i may need to try these next week. Rolls ALWAYS win against chicken. 😉 Although coincidentally I have a chicken recipe on my blog today! Oh.my.goodness. These look SO GOOD. They remind me of my childhood, my mom would buy the store bought crescent rolls – Pillsbury kind!- and they’d smell so yummy cooking in the oven! Rolls are so pretty. The brown crust always makes me swoon. These look amazing!! I’m a big fan of the rolls from the can but I can’t help by want to try this recipe. These might have to make an appearance at our table on Thanksgiving day! They look perfect! Oh man, you’re the best! My fam usually eats the canned ones. I’m definitely going to bust these out and treat everyone. LOVE following your great grandma’s recipes. I’m so envious that you have them! Nicest looking rolls I’ve ever seen….love the striped effect. Very nice, lady! Oh my gosh, they look perfect. Amazing! Yum! Rolls are one of the best parts of the Thanksgiving meal! We always make my grandmothers california rolls. We do everything we can to make those rolls rise in the cold minnesota weater (including turning the dryer on and setting the rolls on top of the warm dryer)! The picture has me sold…despite my trepidation of bread making. Lovely recipe Jenna! not a silly question! Great Grandma didn’t say, but I used 2%. I would stick to either whole or 2% rather than skim, I think, for this. one more question! 🙂 When you say “butter”….do you mean unsalted? I really really really want to touch that folded dough..
Officially on my thanksgiving list – but can I use butter instead of shortening pretty please? Girrrrlllll…..these things look amazing! I just printed the recipe and will make these plus my creamed spinach for Thanksgiving. Might be adding to the usual tradition here. Thanks for posting! gosh, those look incredible. except i am SO DARN INTIMIDATED by using yeast.. it seems super complicated. i should really just give it a go, especially when home with extra time over the holidays! Jenna, these look fantastic. I was thinking I should try to find a new roll recipe for Thanksgiving, and voila!, found this in my post in my google reader this morning. Perfect! Thanks so much for sharing. This would be a husband & little sibs pleaser for sure – and we ALL know that it’s their opinions that actually matter. Any maybe the mother-in-law…. For real?!?! Only you….I am a pillsbury cresent roll maker myself. Seriously, Jenna, these are perfect! There is nothing more relaxing, in my opinion, than baking these types of delicious rolls. They are such a labor of love and so worth the time and effort! Personally, homemade rolls are one of my favorite parts of the Thanksgiving meal. And, I bet these freeze wonderfully too…which means, rolls for breakfast every day!! I am also terrified of using yeast- it never seems to work out for me. I am, however, going to try these. I had my heart set on your previously posted rolls, but these may have taken over top spot for Thanksgiving dinner in our house! My mom has always made her own Cresent rolls for holiday dinners – everyone always go nuts over them, because no one else has ever attempted to make their own dinner rolls. (they use the can kind,etc) … YOURS look AMAZING!! Yum Yum! I’ve never made my own dinner rolls before … but this recipe looks SO good, I am inspired to make these … and excited to shovel them in my mouth (did I just say that?!) 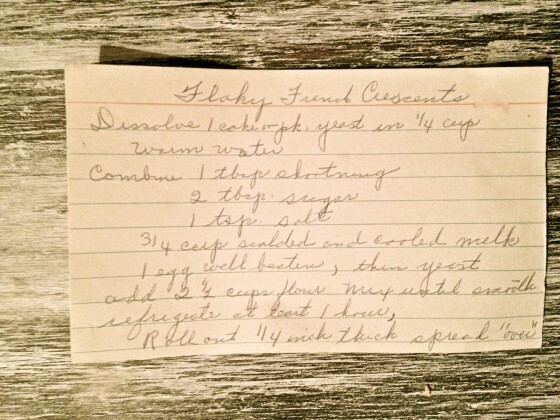 🙂 Lovin’ all your Grandma recipes … so special that you have her recipes! I would fill a kiddie pool with those rolls and dive right in, eating my way through them. Yes. Yes, I would. Mmmm, fresh out of oven with a spread of jam on top. Heavenly. Awesome sauce. I was looking for a roll recipe for Thanksgiving and am totally making these. 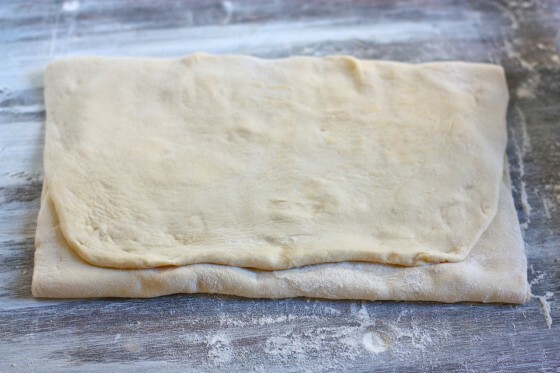 Question- Each time you’re rolling and folding the dough- did you unroll it to the original rectangle first? Or are you rolling over the blanket each time? Also, when you cut the triangles, is the dough folded or is it unfolded to the original rectangle again? Looks amazing, can’t wait to try these! 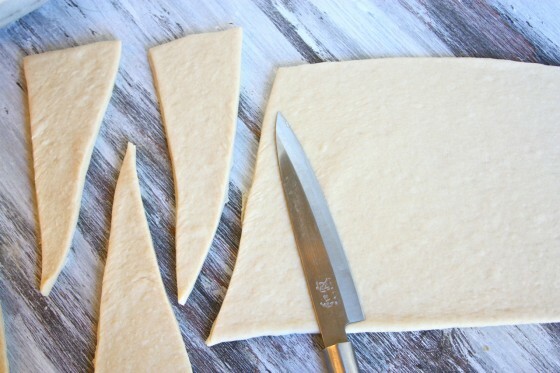 You don’t unroll the rectangle–you just roll the folded dough into another rectangle and repeat the folding process! Before you cut the triangles, you roll the dough out thin (don’t unwrap the dough, just roll it out again) and then you slice. You never unwrap the dough—you just keeping rolling and then folding over again. Let me know if you have any more questions! They sound delicious! Nothing better than a good roll on Thanksgiving. I have never made bread from scratch before, but I may have to give these a try for our Friendsgivingmas celebration! They are like waaaaay perfect! And I have a really big problem! 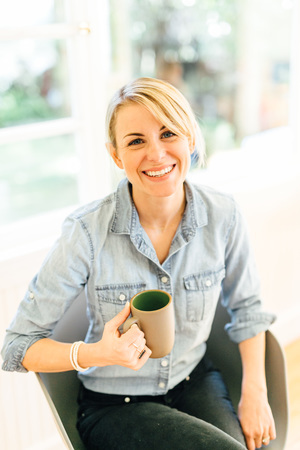 I love reading food and baking blogs so much – but I have so many things I want to make now – its kind of crazy. I have a to-do list which used to intimidate my slight – but my ‘to bake’ list – its totally out of control. BUT these do like the best bread-like baked good Ive come face to face with, so I do really want to get on them pronto. Your friends and family are lucky peeps! These are so pretty! I’ve never tried to make rolls before but these sound so easy I might have to try! These are so gettting made this year by me and your pictures, well they are just stunning! Yummy!! These are going on my Thanksgiving menu for sure. As always, thank you for the amazing recipes! These look lovely. I have been wanting to try croissants for a long time now. Finally I think I have a recipe which seems simpler and not so intimidating. 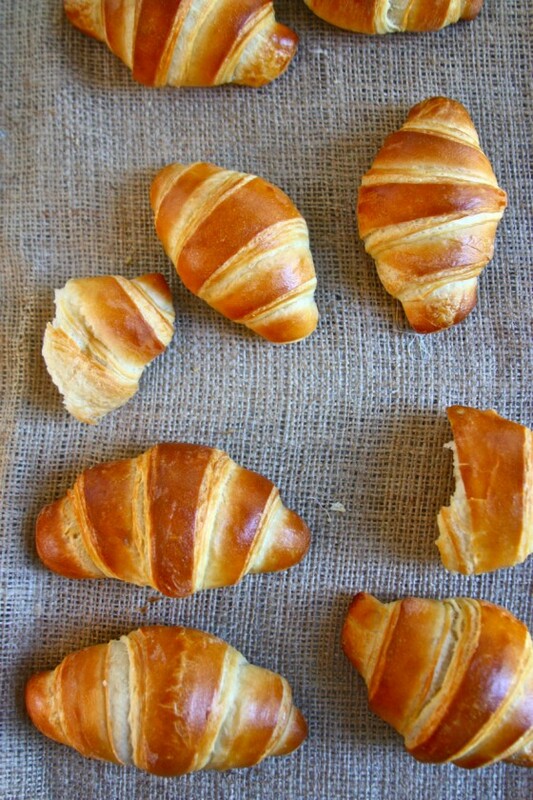 These have got to be the most perfect crescent rolls I have ever seen! I’m impressed! 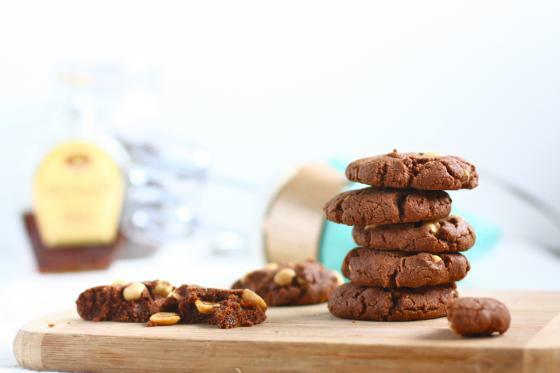 These look heavenly and will be the star of our feast for sure! Are these soft like rolls on the inside or flaky? I’m loving your great grandma’s recipes! She must have been an amazing cook! Thank you for sharing with us! Ok, this sounds really dumb but looking at the pictures it looks like the inside is roll-like and the outside is nice and flaky. Not that it matters cause they will be made no matter what! So impressive! They turned out so beautifully golden. My mouth is watering as I read your post!!! Those look so good, I am definitely making these!!!! The rolls looks amazing! I do have a question about the folding, though. Should I always fold the dough in the same direction? Does it matter? Thanks for the recipe! It doesn’t matter, really. You’re just folding the dough in towards center each time so it looks like a book. Then you roll out and repeat! Since seeing these yesterday, I can’t stop thinking about them. 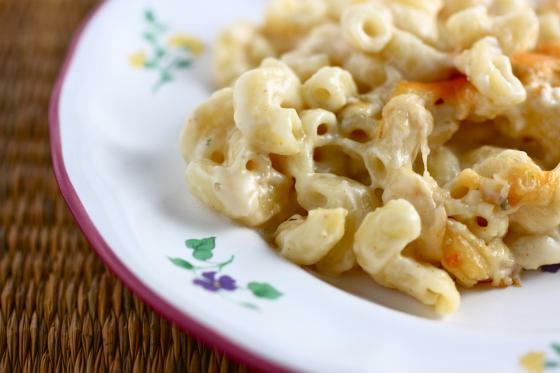 I WILL be making these for my Thanksgiving dinner! Thank you for the recipe. Those rolls look so delicious! thank you for posting this recipe — my husband LOVES crescent rolls and i can’t wait to make these for thanksgiving! i kind of hate to buy shortening for just 1 tablespoon — is it crucial, or could i substitute a tablespoon of butter or coconut oil? you can certainly try! I haven’t done but I’m sure it will work fine. Wow, these look yummy. I don’t usually make my own rolls, but this seems like something worth trying. Your pictures are perfect. Hopefully I won’t have too much trouble baking these rolls. Wish me luck! Ok ,I almost always make croissants for thanksgiving ,and to be honest ,they are alot work and sometimes the lack of rise on them is a disapointment ,but still taste great . But I am going to give these a trial run tomorrow . Yours look fantastic ,so if they taste anything like they look ,they are going to be JUST what I’m looking for .thank you and your grandmother SO MUCH 🙂 I will stop back in tomorrow . with my results . Well ,I made these this morning , And I would Have to give every thing about them 10 thumbs up . Easy recipe, Lovely dough easy to work ,I cut them larger ,because I wanted to make sandwiches with them .Riseing time the same ,baking time ,i added 2 extra minutes . They are AMAZING 🙂 ,looking and tasting ,Cut open very easy after cooling . OMG! These look so yummy. Yummy! I’m going to try these this week for the hoildays with the in-laws. Lucky for me I have been designated to bring the bread! Question. while refrigerating between folds, do you keep the dough flat, folded like a book? or tightly wrap in a ball? I’ll be making the dough a day in advance and want to be sure its tightly sealed but also don’t want to mess with it too much to keep that flaky texture! Thanks Jenna! How gorgeous are these rolls? A must make! I’m planning on making your rolls for thanksgiving and I’m wondering if you used bread flour or all-purpose flour? Just finished laminating the dough- I’m a bit afraid I did something wrong, but we’ll see. I had to knead in more flour, because the dough was super sticky no matter how long I kneaded or mixed it (started off in a KitchenAid, then switched to hand-kneading). I hope they turn out okay! I’m in the process of making them now. My dough was really sticky, too, but I just went with it, hand kneading because I am KitchenAid-less. My sister and I agreed the blob of dough was kinda like something out of a sci-fi movie. After refrigerating the dough was a lot less sticky. I can’t wait to see if they turn out! They most definitely turned out perfectly! I was very happy with the result, even if they overproofed a little. So kneading in a little bit more flour, if you have to, is okay! Mine turned out too! Jenna’s look much prettier than mine, which were more roll-looking than crescent-looking, but everyone loved them! I would definitely make these for another special occasion! So glad they turned out, ladies!!! It makes me happy to know that they were enjoyed so much! Just finished laminating my dough too! I did two separate batches and the each dough turned out quite different… so we will see. One of the batches is soft and the other is much firmer. I hope they all come out ok! I can’t wait to try them. We are writing everyone’s “thankful for’s” onto parchment paper and rolling the notes into the crescents before baking. Happy Thanksgiving, Jenna! Glad you’re with your family this year. We made these today. They were amazing!!! Light and flaky – exactly as pictured. My 10yr old daughter helped do everything. They do take 3+ hours but were definitely worth it. We baked half today and put the rest on a baking sheet in the fridge to rise/bake tomorrow when new guests arrive. I would not have tackled this without your tutorial. Thanks!! Last Minute Biscuit and Dinner Roll Recipes | The Garden of Princess Aileen ????? I have to admit that I was hesitant to try these, but I made them today and wish that i’d made a double batch!!! They were absolutely amazing!! Thanks for the recipe and tutorial! 2 questions though – in the recipe on the first lamination you say to fold it in thirds and then ‘fold it in half again’ – so, do i just fold it half? or in thirds? which way? and do you only do this on the first lamination? secondly, in your post you say to laminate the dough 3 times, but your recipe actually calls for 4 laminations – which is it, 3 or 4? Glad you liked them!! On the first lamination you smear the whole thing with butter then fold each end into the middle, then fold it in half…like a book! For the rest of the laminations, you just roll out what you have then fold each end to the middle once again. Just wanted to tell you that I made these rolls for brunch with my husband, daughter and son-in-law. I thought my son-in-law was going to dive head first into the bread basket. Thanks for the ‘retro’ recipe! They’re awesome, and will make their way to my permanent bread rotation. I am making these today for our family Christmas celebration. A little nervous but they look sooo good, I can’t not try them! Just made these and they turned out WONDERFUL. The process wasn’t difficult at all either…prepped the dough the night before and rolled them out this morning. Thanks for a great recipe! I made these on Christmas Day to go with mom’s prime rib and garlic mashed potatoes. They were a HUGE hit. Thanks for being awesome. Ok. Those rolls are the most beautiful thing I have ever seen. I love your recipe box challenge recipes. I asked my mom for some of her mom’s recipes in her own handwriting and I have a few that I am going to frame. Unfortunately, before my Nana died this year she was not in her right mind and she THREW AWAY her recipe book of recipes that were in her own handwriting. I was so sad to hear that. I applaud your effort to make your grandmother’s recipes and to honor her memory in that way!!! Saving this for my holiday collection. These are beautiful. I can’t wait to try making them myself. Made these for dinner tonight! I had to come back and say thank you! They came out amazing! I made various sizes and had smaller ones with dinner and made larger rolls for sandwiches! 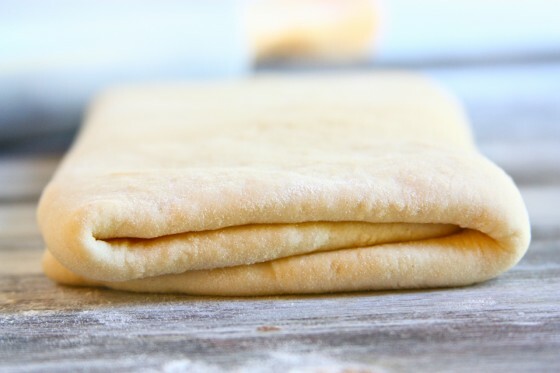 I am making these right now – on my second lamination… The dough is so smooth and easy to work – I haven’t bothered with my rolling pin at all, just flattening it by hand on a large piece of parchment paper. One question: can I freeze the dough? When: after the final lamination before the proofing or ? I would not freeze the dough but you could stick in the fridge overnight! They turned out perfect! I am now a hero in my house:-) I used 1 Tbsp vegetable oil instead of shortening and I brushed with milk instead of the egg. I will let you know how the frozen ones turn out! I made these and they tasted good but they seemed a little heavy….aren’t they supposed to be light and fluffy???????????? ?What did I do wrong…..I proofed the dough out of the fridge overnight for four hours and they just didn’t seem to rise like they should??????Help. Question: I mixed the dough in a break machine, then did the lamenating et. and put the dough in the fridge over night….I took it out and folled the crescents and proofed for 4 hours but the dough didn’t rose like it should on the last proofing…..so they were a little heavy…………What did I do wrong? Should I have not mixed it in the bread machine, or taken it out of the machine after the first mix, before the rising process began at all?….HELP. Here’s an album my adventure with your recipe! Thank you so much, I’m very glad I made these, they came out beautifully and were not difficult at all. How do you think these work filling them? I was considering ham, swiss and jalapenos. Haven’t tried these yet but i will.They are so pretty and look so good!A tip for every one that has a problem with getting them to rise.Put your pan of rolls on a heating pad set on low,make sure you put a kitchen towel between your pan of rolls and the heating pad.Cover with a clean kitchen towel and let rise.Works every time. Making these right now. Can’t wait to see hiw they turn out! The exterior is crispy and the interior is tender and flaky. I love this recipe! Thanks! My go to crescent recipe. These are soooo good. I’ve made them several times and everyone always loves them. These look amazing! I’m going to be trying them gf ? the laminating is only done once, right?